Here' another good article from Christine Luff. Proper hydration for running is essential to safety and performance, but runners need to know when they should consume sports drinks and when plain water will suffice. 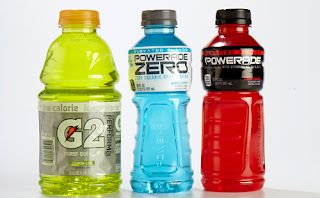 Sports drinks, such as Gatorade or PowerAde, contain electrolytes such as sodium and potassium. When you're running, your body loses electrolytes through sweat. Since electrolytes help your body retain fluids and may prevent muscle cramps, you need to replace them when running more than 90 minutes. Runners who don't sufficiently replace electrolytes during long runs or races can risk over-hydration. Hyponatremia, which is low blood sodium concentration, can occur when athletes drink excessive amounts of water and don't replace salt lost through sweat. The current advice about running and hydration is very simple -- try to drink to thirst. Scientific evidence says that drinking when you're thirsty can help prevent underhydrating (which can lead to dehydration) and overhydrating, which can lead to hyponatremia (low blood salt level due to abnormal fluid retention). If you're looking for a general rule of thumb for fluid consumption during your runs: You should take in 4 to 6 ounces of fluid every 20 minutes during your runs. Runners running faster than 8-minute miles should drink 6 to 8 ounces every 20 minutes. During runs of more than 90 minutes, you can alternate between sports drinks and water. 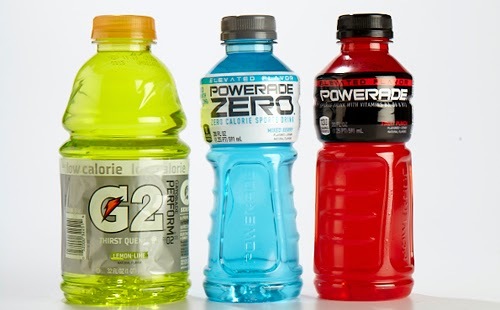 So, every other hydration break, you should be drinking a sports drink. For shorter runs, hydrating with plain water is fine. Another benefit of sports drinks is that they contain carbohydrates. Since it's necessary to consume calories during runs of longer than 90 minutes, drinking a sports drinks will help you take in some of these needed calories. Some runners find that it's sometimes easier to get their calories through liquids rather than solid foods, especially during the later stages of a long run or race.